The Jathika Hela Urumaya (Sinhalese: ජාතික හෙළ උරුමය, Tamil: ஜாதிக ஹெல உறுமய, often approximated in English as National Heritage Party) is a Right-wing Nationalist political party in Sri Lanka. 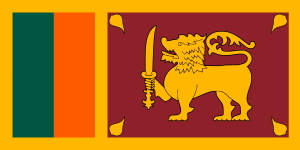 The JHU was launched in February, 2004 by the lay-based, Sinhala nationalist political party Sihala Urumaya. Founding members include Kolonnawe Sumangala Thero, Uduwe Dhammaloka Thero, Ellawala Medhananda Thero, Dr. Omalpe Sobhitha Thero, Athuraliye Ratana Thero and Thilak Karunaratne. Some Sri Lankan Buddhists, including the All Island Clergy Organization, denounced the decision by monks to enter politics. The party drew support mainly from the middle class conservatives and the Buddhist youth. The Jathika Hela Urumaya (National Sinhala Heritage) party contested its first parliamentary election on 2 April 2004. On that occasion, all of its candidates were Buddhist monks. At the election the party won 5.97% of the popular vote (a total of 552,724 votes) and nine out of 225 seats. Since the election, the party has been involved in a number of controversial issues: one important action was introducing a bill to prohibit unethical, manipulative and highly aggressive conversions. This was viewed as a reaction against proselytism systematically carried out by Christian fundamentalist groups with many guises, some of whom happened to be foreigners affiliated with non-governmental organizations. There had been some dramatic infighting within the JHU parliamentary group early on in its parliamentary profile. This was partly due the fact that this group had been cobbled together just before the polls and lacked unity on several grounds including the issue of how to relate to government formation. Two of its founding members, Theros Kolonnawe Sumangala and Uduwe Dhammaloka left the party due to conflicts within the party between the monastic and lay members. The lay leader of the Sihala Urumaya also defected to the United National Party after seizing the party headquarters. After months of trouble, the party is strong again with the young monk Athuraliye Rathana Thero and the Sihala Urumaya member Champika Ranawaka leading the comeback. Ellawela Medhananda and Omalpe Sobhitha theros remain in the leadership. Other influential members include Dr Neville Karunatilake and Nishantha Sri Warnasinghe. JHU is also affiliated with the National Movement Against Terrorism (NMAT), SPUR, North-East Sinhala Organisation (NESO) and other local and international Sinhala nationalist groups. Jathika Hela Urumaya successfully appealed the supreme court to cut President Chandrika Kumaratunga's term short. In October 2005, former JHU member Uduwe Dhammaloka indicated that there was a growing sentiment among the monks of the JHU that a mistake had been made in directly entering the political realm. Dhammaloka indicated that he personally believed that monks could have a more positive impact on Sri Lankan society by focusing on religious work, and that the current crop of monk-parliamentarians intended to "ensure that monks will not enter politics again" ("Monks"). It is unclear if Uduwe Dhammaloka and other ordained members of parliament will resign their positions, or if legislation will be introduced to restrict monks from standing for public office (as is currently the case in Thailand). Jathika Hela Urumaya supported President Mahinda Rajapakse in the presidential election in 2005. In 2007, the JHU officially became part of the Rajapakse Government with one of its Buddhist monk MP, Omalpe Thero resigning and in his place a lay member Champika Ranawaka being made a MP and then the Cabinet Minister of Environment and Natural Resources. The party advocated the wiping out the LTTE by military force, and the party played a major role in making that dream a reality. It wants to maintain Sri Lanka's unitary constitution. JHU is active against the radical Islamization. The JHU is active against deforestation and is active to promote carbonic farming. The JHU have also been instrumental in implementing several policy programmes including a ban on smoking in public places and limitations in alcohol, banning of harmful pesticides, including the mandatory shut-down of liquor stores and ban on meat on Poya and other Buddhist festivals. ↑ Mahinda Deegalle, "JHU Politics for Peace and A Righteous State," Buddhism, Conflict and Violence in Modern Sri Lanka (ed.) Mahinda Deegalle, Routledge, London and New York, 2006, p. 236. ↑ Mahinda Deegalle, “Contested Religious Conversions of Buddhists in Sri Lanka and India,” Dharmapravicaya: Aspects of Buddhist Studies, N.H. Samtani Felicitation Volume, ed. Lalji Shravak, Banaras Hindu University, Varanasi, 2011, pp. 81–111. "Executive presidency will remain, Ven. Rathana thera". ceylontoday. January 25, 2015. "Monks should stay out of Sri Lanka politics, says monk legislator". AFP. October 24, 2005. "The Show and The Throw". ANCL. December 19, 2004. Interview with leading members of the Jathika Hela Urumaya. February, 2004.